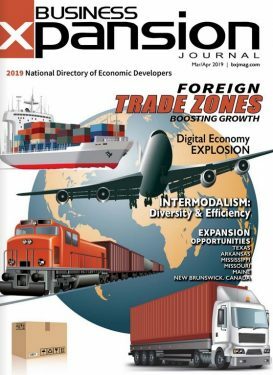 New Mexico has enjoyed 10 straight months of job growth, and the state’s international trade efforts “are showing incredible results,” says Jon Barela, cabinet secretary for economic development. In fact, New Mexico exports were up 36 percent in 2011. The administration of Gov. Susana Martinez successfully pushed business-friendly legislation through the New Mexico Legislature during its short 30-day 2012 session, and Barela cites three bills in particular that increase New Mexico’s desirability as a business locale. The first expands the gross receipts tax deduction on construction, which “really makes New Mexico competitive now for commercial, residential and industrial construction,” Barela says. A second companion bill offers tax relief for manufacturers for consumables used in the manufacturing process, thus eventually eliminating the “pyramiding effect for the final product,” he explained. The third piece of legislation increases dramatically the state’s Job Training Incentive Program, upping the annual appropriation from $1.7 million to $7.9 million. If only New Mexico had an ocean (wave energy), then the state would possess most all the energy alternatives used in the nation today. “New Mexico is uniquely positioned and blessed with abundant natural resources. New Mexico should be and will be the country’s energyplex for the foreseeable future,” Barela says. Oil and gas reserves, uranium and coal deposits, virtually unlimited wind and solar potential, plus geothermal and biofuels combine to make the state a powerhouse. The state boasts three research institutions, each with energy-related programs, he notes. “Lately, oil and gas have really taken off for us. We actually became the highest-producing oil county in the state of New Mexico this year,” says Jeff Campbell with the Carlsbad Department of Development in Eddy County. In fact, more than 200 firms in the area are connected to the oil and gas industry. Thanks to a commitment from SunEdison, Eddy County and neighbor Lea County will be the home of five photovoltaic solar installations expected to collectively generate 50 megawatts of power. The first plant went live last year, generating 10.8 megawatts. “We have over 300 days of sunshine, probably closer to 350,” Campbell says. He adds that the area’s energy resources have helped it weather a challenging recession. “Our unemployment was never above 6.5 percent, and now it’s 4.1 or 4.2,” he says. Another Carlsbad resource is “plenty of room” to grow, Campbell explains. The 445-acre Carlsbad Airport Industrial Park, owned by the city, features agreements that can mean free land for job creators. A second industrial park is in the works. Land availability is one reason that Lea County was chosen by international development firm Pegasus Global Holdings as the location for its one-of-a-kind Center for Innovation, Testing and Evaluation. The $1 billion project will make human invention the county’s top industry sector. David Jett with the Economic Development Corp. of Lea County says CITE will be a 20-square-mile, fully functioning city with running water, a power grid and wireless networks, but without any permanent residents. The so-called “ghost city” will be used to test and develop renewable energy, integrated traffic systems, next-generation wireless networks, smart-grid security systems and the like. The construction alone, which began in June, means more than 1,500 temporary jobs, and CITE is expected to create about 350 permanent jobs. Jett says Pegasus was impressed by the attitude of the area workforce and the foresight of all Lea County’s communities, which worked together to lure the unique project. “Our people are the driving force behind all this. Just ask us, and we can get it done,” Jett says. Other booming sectors in New Mexico include agriculture, science-based sectors such as information technology, biotechnology and nanotechnology, and aviation and aerospace. The Army’s White Sands Missile Range, Kirtland Air Force Base and two national laboratories (Los Alamos and Sandia) have all meant growth in avionics. Near Las Cruces is Spaceport America, where accessible, commercial space travel moves closer to reality. Studies project that by 2020, Spaceport could employ as many as 5,000 people and boast revenues of $1 billion. Manufacturers of photovoltaic, solar, thermal, wind, biomass and electric generation systems, electric or hybrid vehicles, and fuel-cell systems may receive a tax credit of up to 5 percent of their capital expenses. According to DOE, New Mexico’s energy costs are 7 percent below the national average and 19 percent below the regional average. The High Wage Jobs Tax Credit is 10 percent of the combined salary and benefits package for the year in which the job was created and for three more qualifying periods. The salary must be $28,000 in rural areas or $40,000 in urban communities. New Mexico has the lowest property-tax burden in the country, according to the Tax Foundation’s 2012 State Business Tax Climate Index. Property is assessed at only 33 percent of its market value. New Mexico’s financial boost for its Job Training Incentive Program means more workers will be educated to meet the specific labor demands of existing and potential new industries. “Our competitive and well-developed community-college system can assist any company in their workforce-training needs,” Barela says. As an example, he points to Mesalands Community College in Tucumcari, which is the location for the internationally recognized North American Wind Research and Training Center. The program’s centerpiece is the General Electric 1.5 megawatt wind turbine, on which students conduct troubleshooting, preventive maintenance and repairs. The center offers an associate’s degree, an applied science certificate and a new occupational certificate. Today, all but one hangar at the air center is full of aircraft being stored, maintained and refurbished. The air center has two active runways, unobstructed airspace and is served by rail. The development is the location of MISTIC (Matrix International Security, Training & Intelligence Center) Inc., a private counterterrorism, law-enforcement and military-training company with plans for expansion, Donnell says. With about 1,200 direct jobs, the air center is also home to the Job Corps, a campus of Eastern New Mexico University, a rehabilitation hospital and other non-aviation tenants. Donnell adds that the sectors of agriculture and business are also growing in the Roswell area. Certainly, New Mexico’s business assets include wide-open spaces, yet Barela also cites the state’s border location and its weather as two more advantages. They make New Mexico a busy logistical center. Proof is the $400 million Union Pacific rail facility in Santa Teresa. Phase 1 construction is under way for the intermodal operation, which was made possible by passage last year of the Locomotive Fuel Tax Deduction. “This is a game-changer for New Mexico and the entire region,” Barela says. The project is creating 3,000 construction jobs and is expected to eventually be the headquarters for 600 permanent jobs. Carlsbad Caverns National Park is a spelunker’s dream, with 83 separate caves to explore. The nation’s deepest limestone cave – at 1,597 feet – is also the third longest cave in the U.S. It’s 750 feet down to the park’s main room. Surprisingly, the massive underground maze of cavern formations is easily accessible. Don’t miss the predictable evening flight of Mexican free-tailed bats from the Carlsbad Caverns entrance.